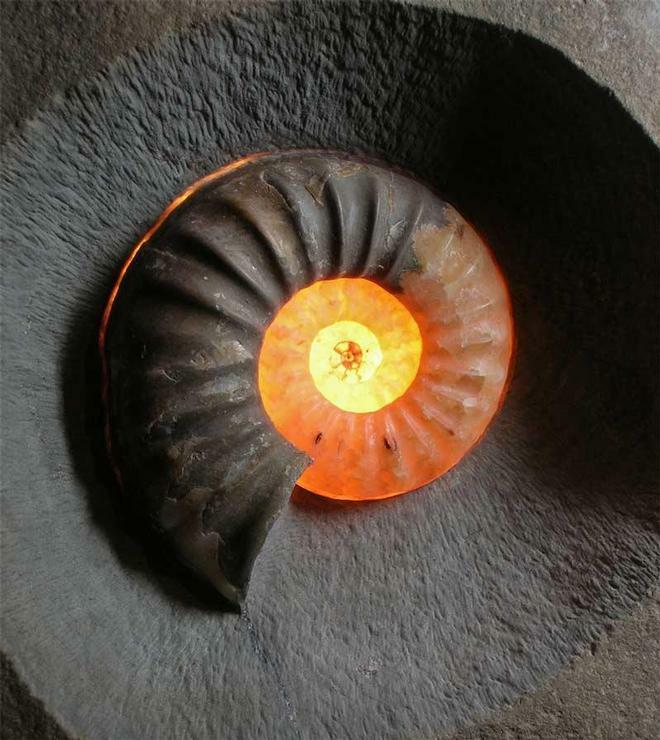 A regular well prepared Asteroceras which has taken many hours of preparation. 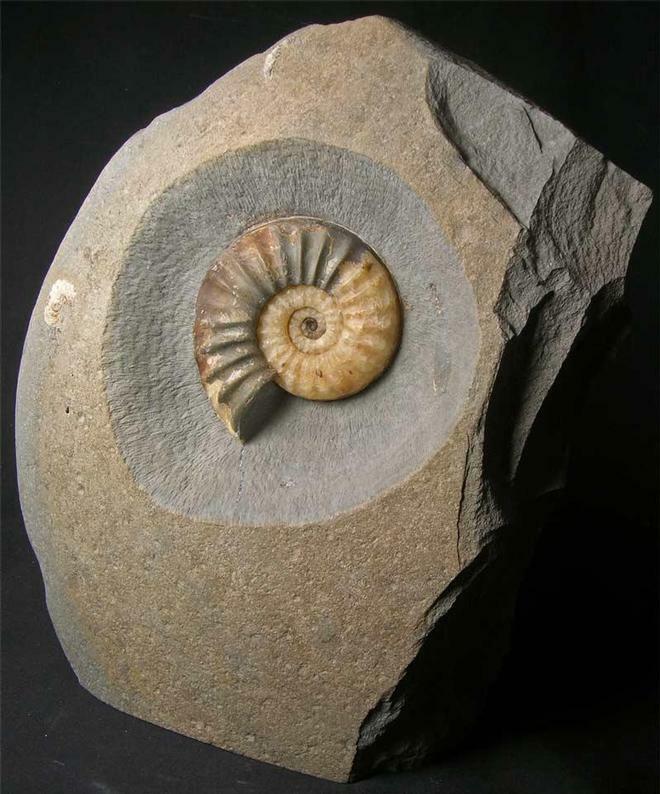 When the stone was discovered, the ammonite was visible on the reverse side and prepared from the other, so the whole ammonite is visible on either side. 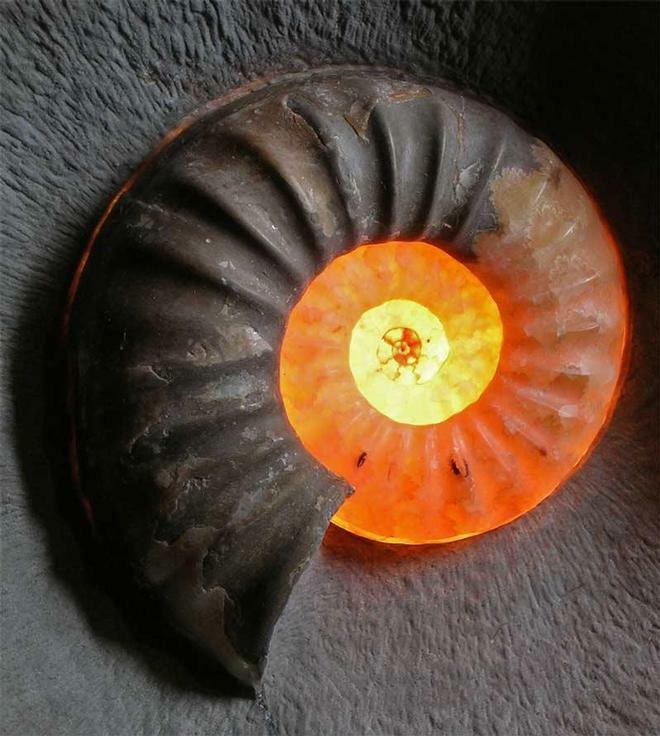 As in the main picture, when a light is present, the ammonite glows yellow through the calcite with stunning effect. A unique fossil for either the home or office space. 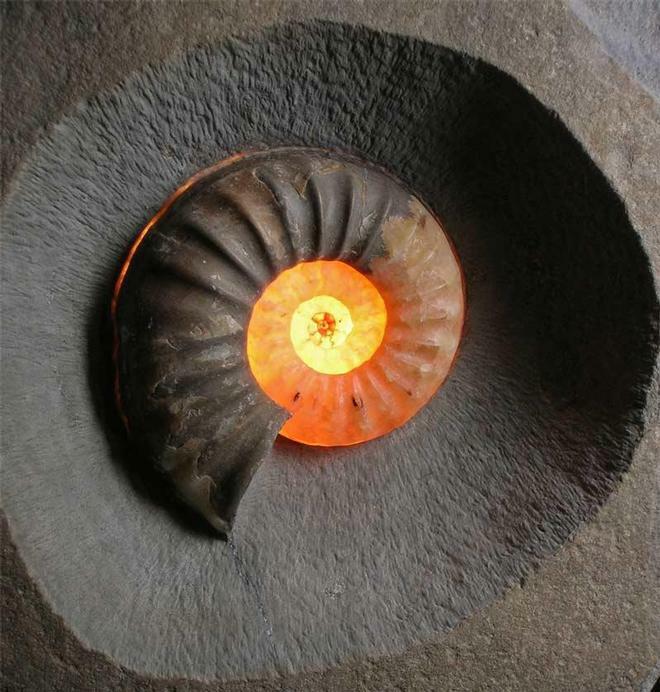 The base of the nodule has been cut flat for upright display and is approximately 200 million years old.